In this brilliant inspired talk, beside the holy River Ganga in Rishikesh, Eckhart dynamically summarizes the essence of his teachings. 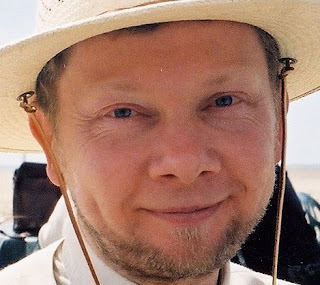 Speaking earnestly and directly to the heart, Eckhart inspires us to know ourselves at the deepest level, Eckhart takes us, step by step, from the ego position of the mind to surrender to the Now. "What grace to see the very thing that seems to be limiting you on all sides is the doorway to presence." " Eckhart says ... The ego sometimes we look at it as if it is an entity. But really it is just a form of unconsciousness. It appears to be an entity sometimes. It is never threatening. Never regarded as an enemy, never something you need to get rid of. It’s only to be recognized for what it is. " " So, and then the ego has fulfilled it’s purpose. It has taken you to that point of awakening. " In the waking state, realizing that one can be no where else than in the present is an awakening that renders abidance in Presence effortless. It is all here & now !